You are invited to participate in the Twenty-First Annual Conference on Neural Information Processing Systems, which is the premier scientific meeting on Neural Computation. The NIPS Conference and Tutorial Program will be held at the Hyatt Regency Vancouver, in Vancouver, B.C., Canada. The NIPS Conference features a single track program, with contributions from a large number of intellectual communities. Presentation topics include: Algorithms and Architectures; Applications; Brain Imaging; Cognitive Science and Artificial Intelligence; Control and Reinforcement Learning; Emerging Technologies; Learning Theory; Neuroscience; Speech and Signal Processing; and Visual Processing. All papers are rigorously reviewed. The Conference begins on Monday, December 3, 2007 with Poster and Demo Sessions and an opening night banquet. Dr. Luis von Ahn of Carnegie Mellon University, will be the speaker. This year, NIPS is inaugurating "Neuro-Thursday," designed to let Neuroscience researchers coming for the Workshops to also experience part of the main NIPS program. 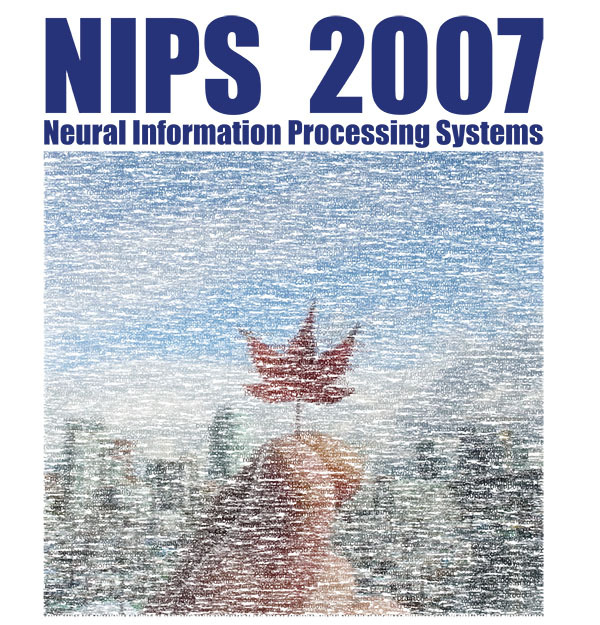 On Thursday, December 6 (the final day of the Conference), the NIPS program will be devoted to Neuroscience, and will consist of a fascinating invited talk by Professor Manabu Tanifuji (Riken) on the monkey visual cortex, plus six outstanding plenary talks. A one-day Tutorial Program will take place on Monday, December 3, 2007 prior to the opening of the Conference. The program will offer a choice of six two-hour tutorials by leading scientists. The topics spana wide range of subjects including Neuroscience, Learning Algorithms and Theory, Bioinformatics, Image Processing, and Data Mining. The Poster Sessions will take place Monday through Wednesday evenings, December 3 – 5, 2007, during the Conference. The sessions offer high-quality posters and an opportunity for researchers to share their work and exchange ideas in a collegial setting. The majority of contributions accepted at NIPS are presented as posters. All Neuroscience posters will take place on Wednesday night. The Wednesday night poster program will also contain many posters on Machine learning and Computer Vision. The Demonstrations component of the Conference takes place on Monday, December 3 and Tuesday, December 4, 2007 between 7:30 p.m. and midnight. It enables researchers to highlight scientific advances, systems, and technologies in ways that go beyond conventional poster presentations. It provides a unique forum for demonstrating advanced technologies — both hardware and software — and fostering the direct exchange of knowledge. The Post-Conference Workshop Program takes place in Whistler, B.C. at the Westin Resort and Spa and the Hilton Whistler Resort and Spa Friday, December 7 and Saturday, December 8, 2007. There will be between 15 and 20 workshops covering a wide range of topics from Neuroscience to Machine Learning. The workshop program schedule allows time for informal discussions, skiing and other winter sports.